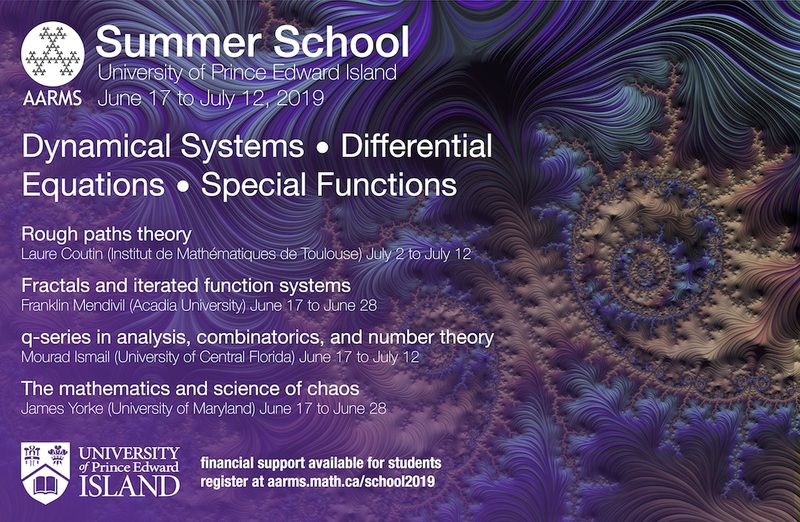 The summer school is intended for graduate students and promising undergraduate students from all parts of the world. Each participant is expected to register for at least two of the four courses. 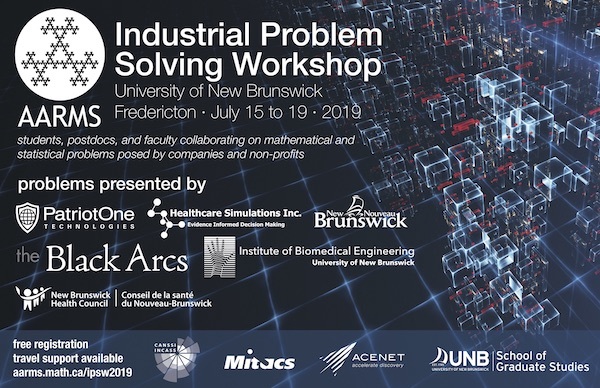 These courses are certified to be graduate level courses by both the School of Mathematical and Computational Sciences (SMCS) at University of Prince Edward Island and by the Atlantic Association for Research in the Mathematical Sciences (AARMS). Upon successful completion of a course, SMCS and AARMS will award a certificate confirming this, which students can then take back to their home institutions if they plan to receive credit for these courses towards their degree. Students hoping to receive academic credit for summer school courses are strongly encouraged to consult with their home institution about this process before the school begins. For student attendees, the AARMS Summer School will pay the tuition and the accommodation expenses, but will not cover the cost of travel. Note that the accommodation is provided only when a student is taking a course (the night before the first lecture of a course is covered). If a student arrives early or leaves late, the extra accommodation is not covered. Note that those who will finish their bachelor/master degree in the spring/summer term of 2019 and will enter the graduate school in the fall term of 2019 are considered to be students. 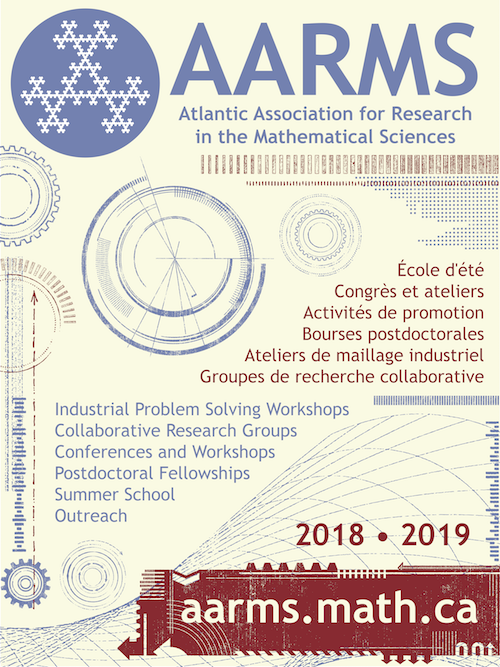 To apply for AARMS Summer School 2019, please complete the online application form before April 15, 2019. Please note that the evaluation committee of the summer school will review all applications shortly after April 15, 2019 and thereafter notify the applicants whose applications are approved by email. Please do not book your air tickets before receiving the approval email.